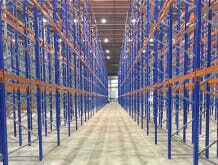 This first-in-first-out pallet racking system is designed for loading at one side and unloading at the other. 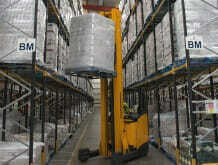 This type of solution is ideal for businesses with perishable stock, namely food, drink and pharmaceutical industries. 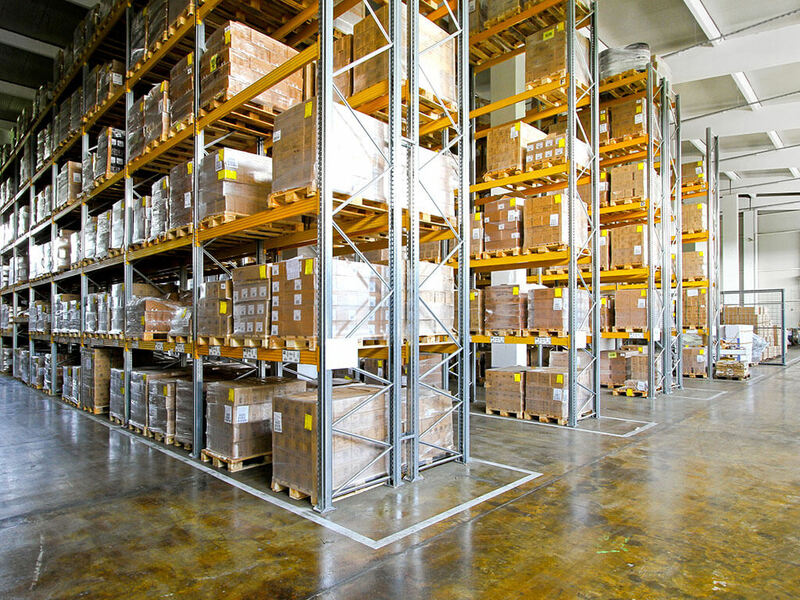 Ideal for products that are perishable and require a fast turnover. 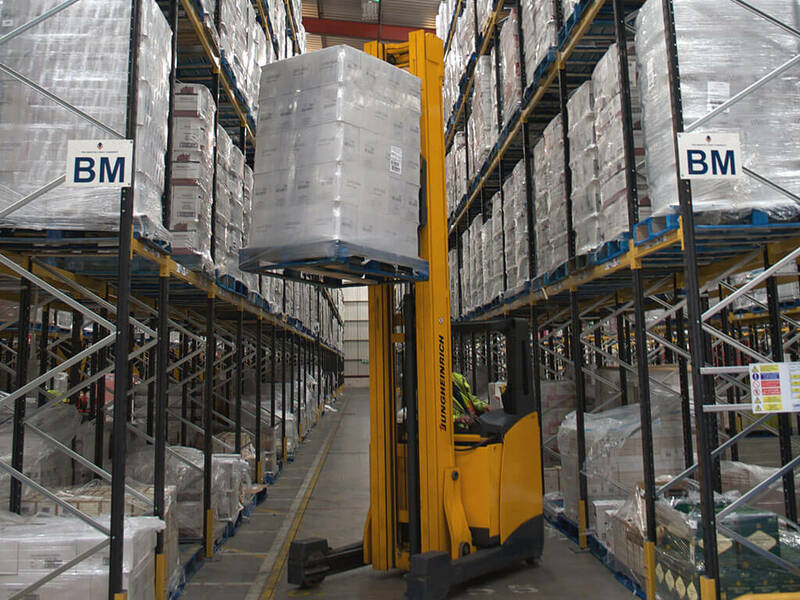 These types of systems are beneficial in many industries but are especially suitable for food & drink and perishables storage or anything that has an expiration date. 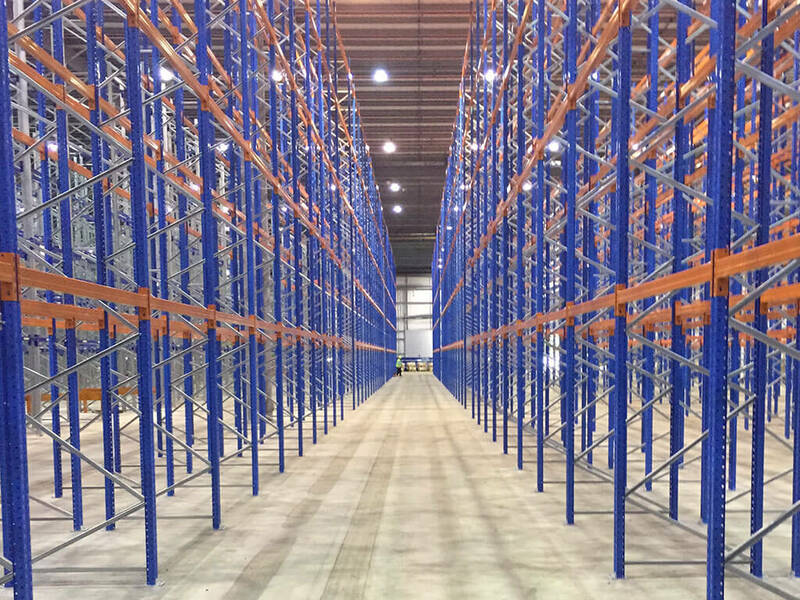 These types of goods require a pallet storage system that avoids stock from being left at the back of the pile and going out of date. 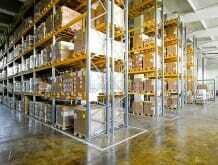 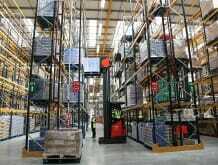 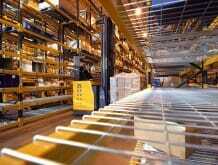 This type of system also optimises warehouse space and is one of the most efficient warehouse storage solution. 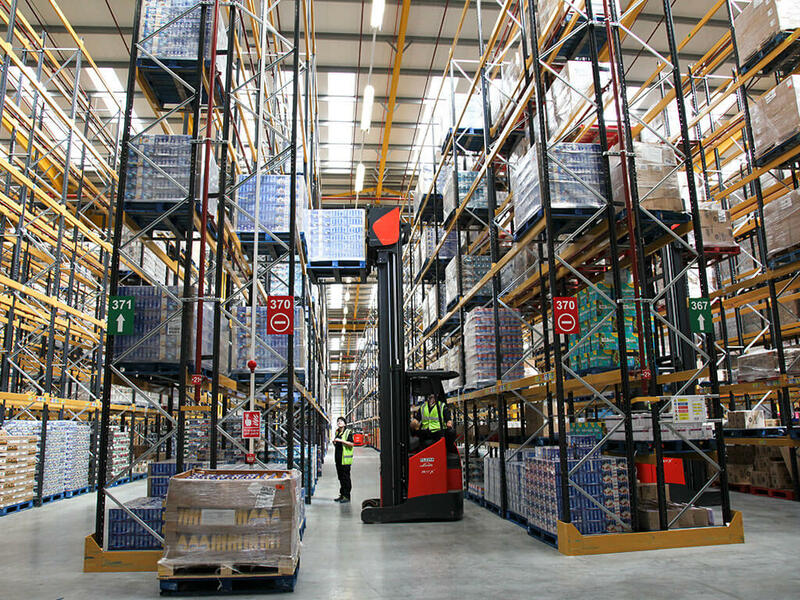 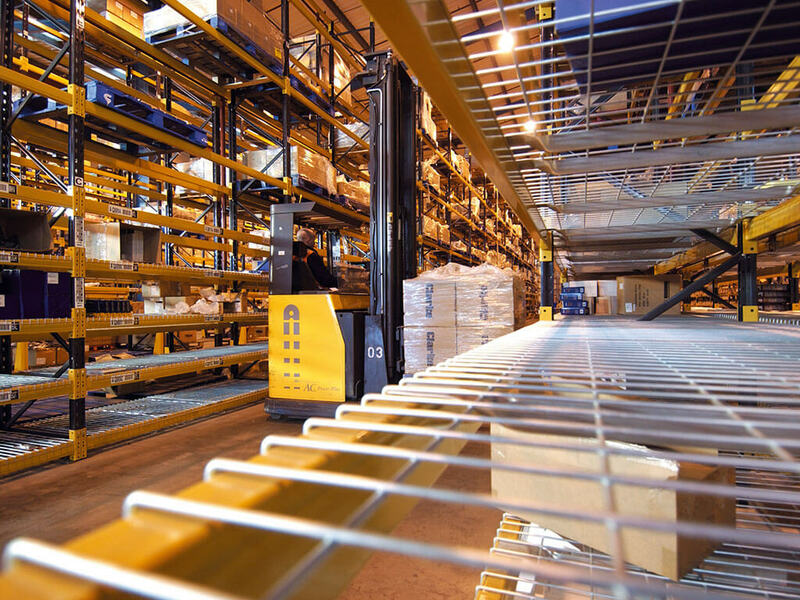 Our Drive-through pallet racking system is a great solution for a FIFO stock rotation system as it allows for stock to be pushed through the racks and be first out at the other.